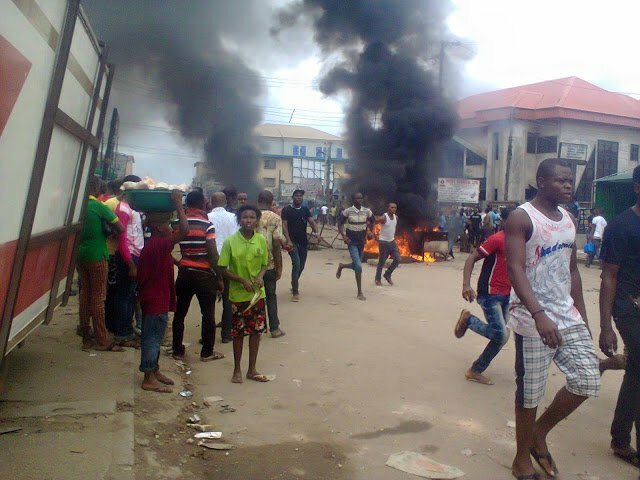 Three suspected armed robbers were yesterday reportedly beaten to death by mob in Akure, the Ondo state capital. The deceased were accused of snatching two motorcycles from their owners along the popular Hospital Road.They were said to have been arrested and beaten by passers-by following an alarm raised by one of the victims. Though the suspects were later rescued by the police, they died before getting to the hospital. A locally made pistol and the stolen motorcycles were among the items reportedly recovered from them. Spokesman of the State Police Command, Femi Joseph, while addressing the journalists, described the mob action as illegal. "In no time a mob descended on the suspects and beat them to a pulp. They sustained what I could described as third degree injuries." “We tried to rush them to hospital but they died midway.”“They are actually robbers but we are worried with the jungle justice meted out to them.”“This is against the law. We will apprehend all those who participate in the jungle justice because this is highly condemnable and reprehensible.” Joseph said.